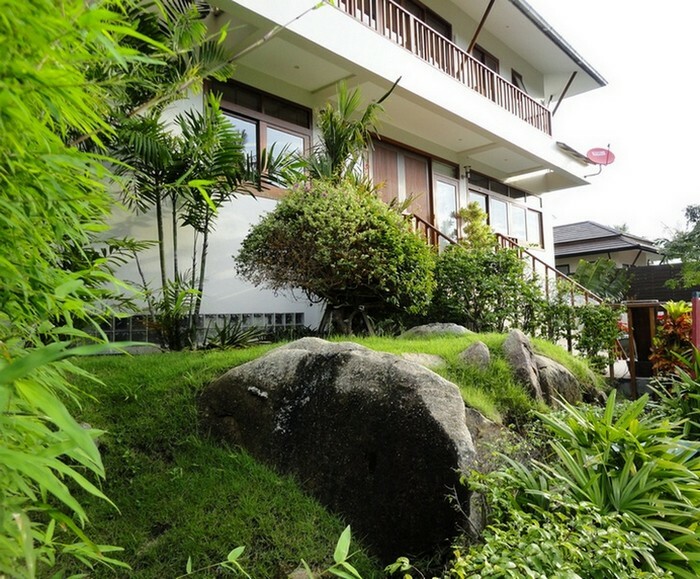 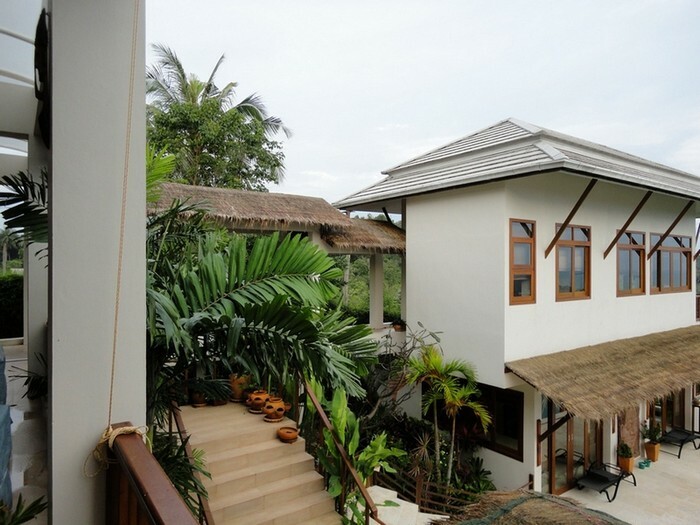 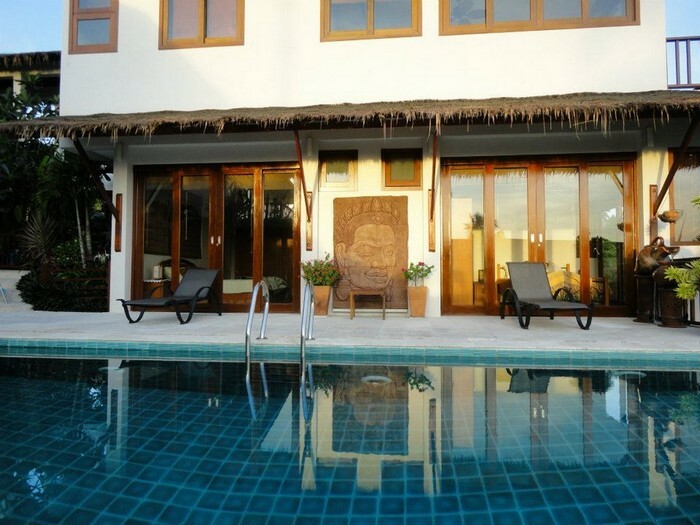 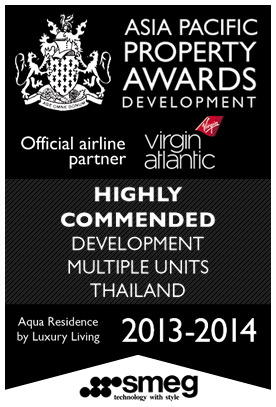 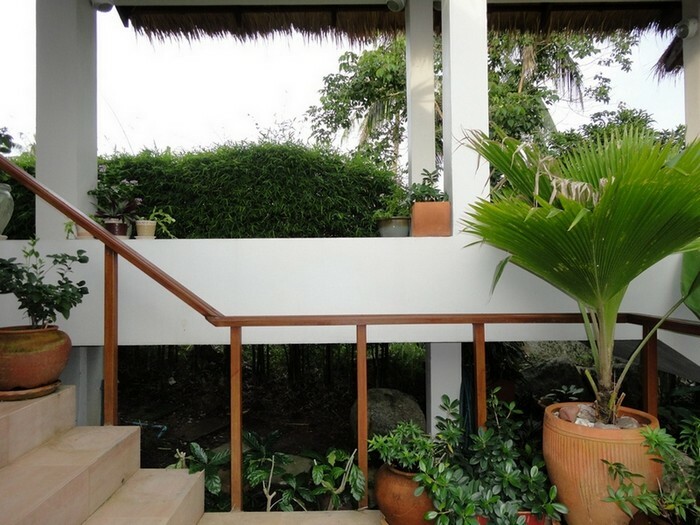 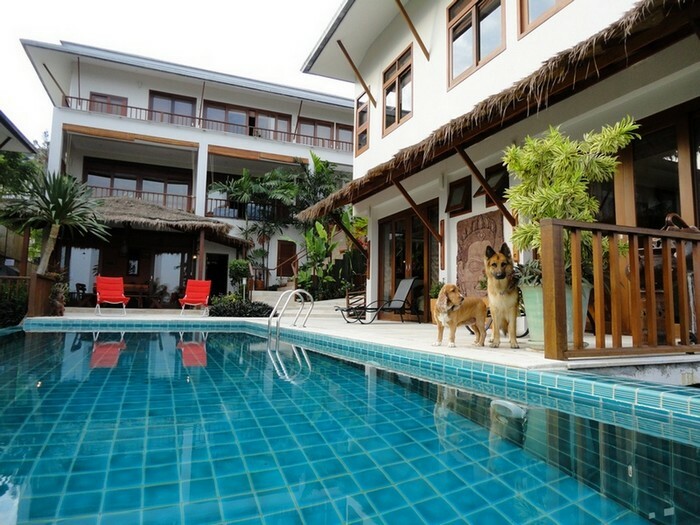 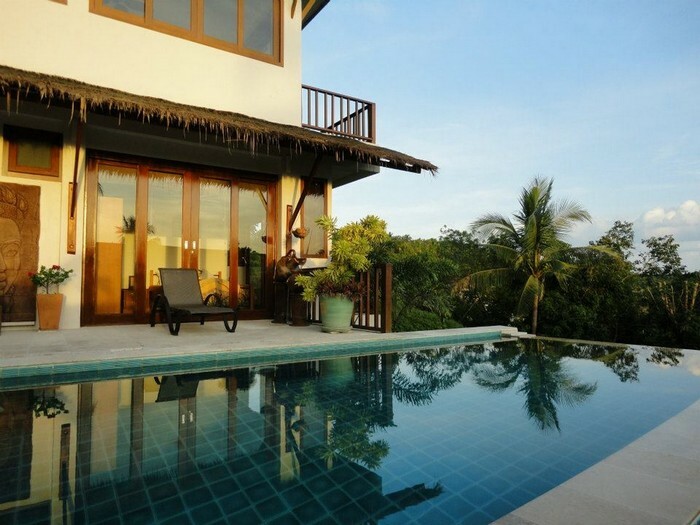 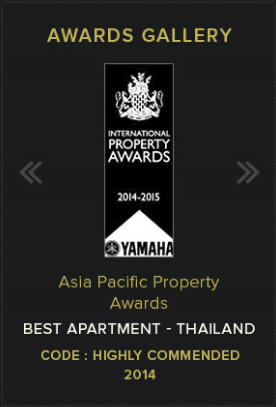 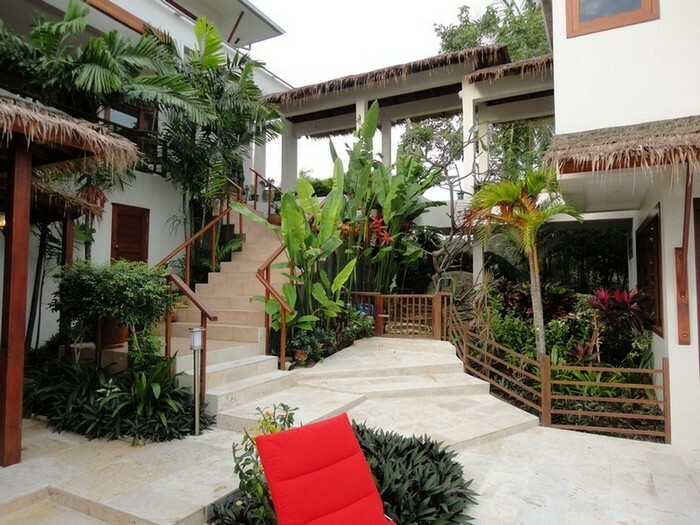 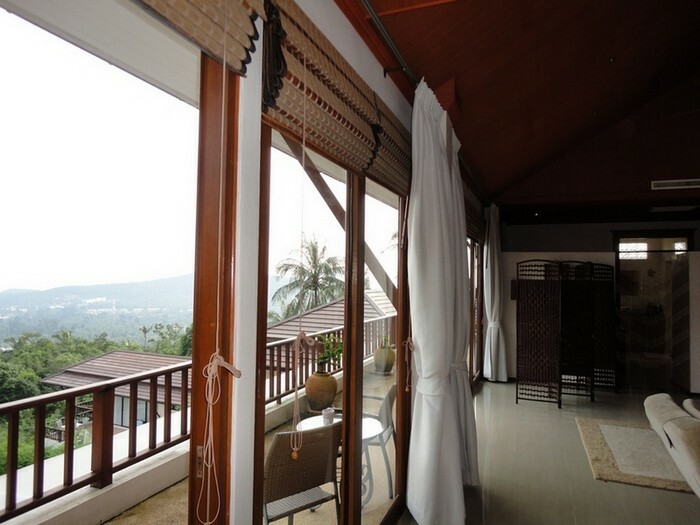 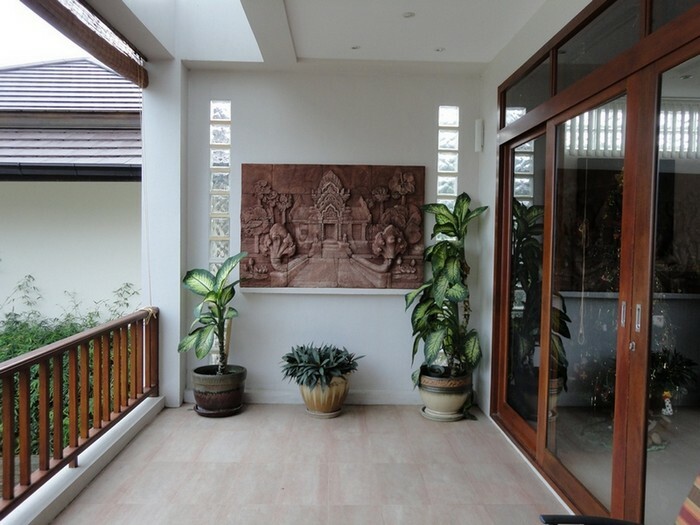 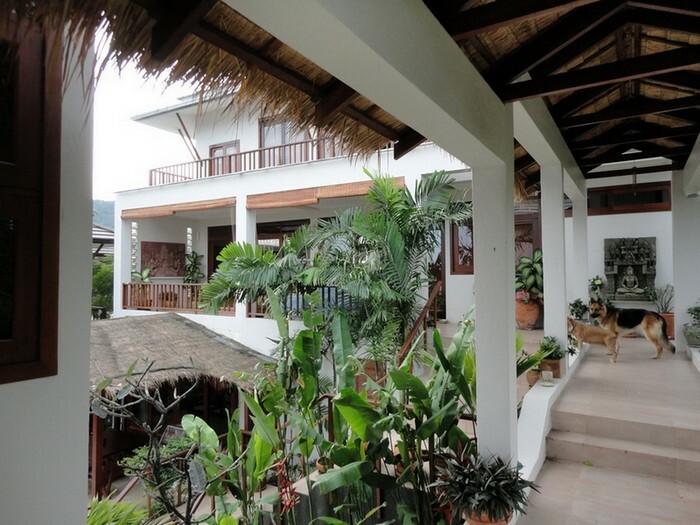 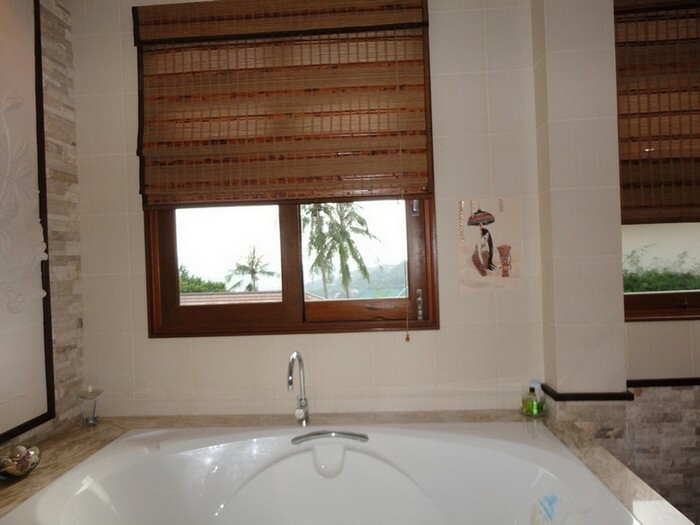 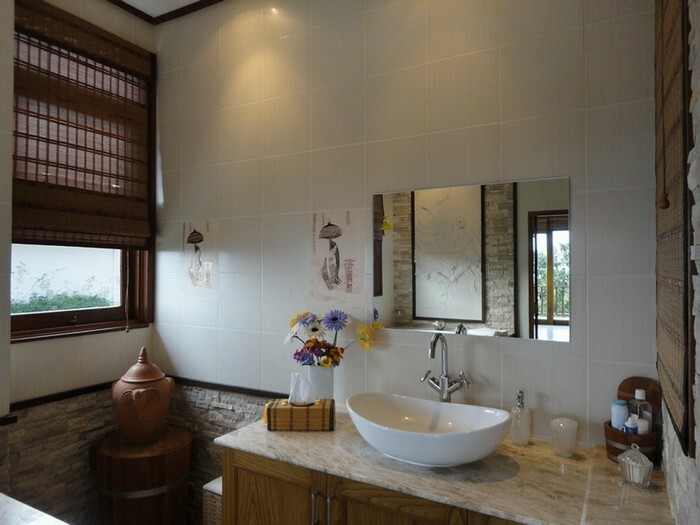 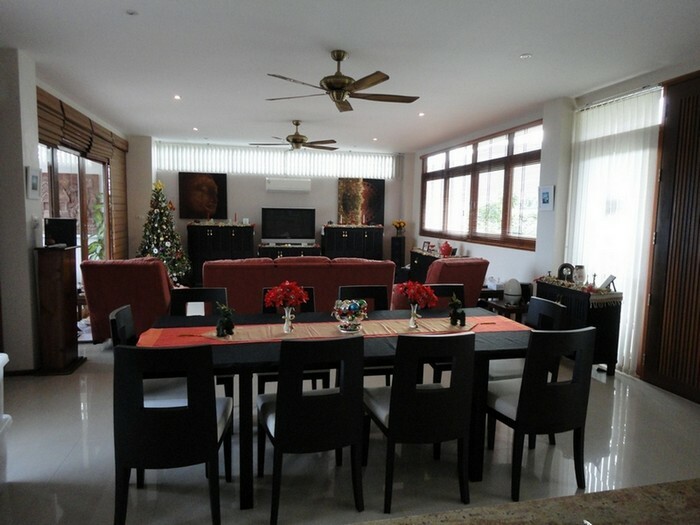 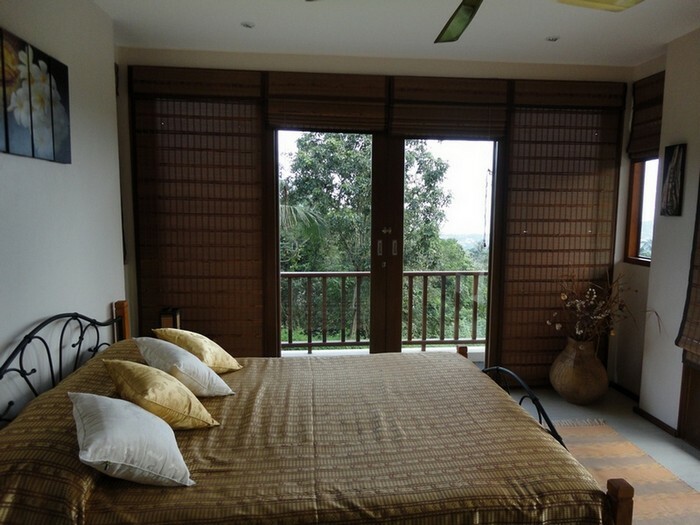 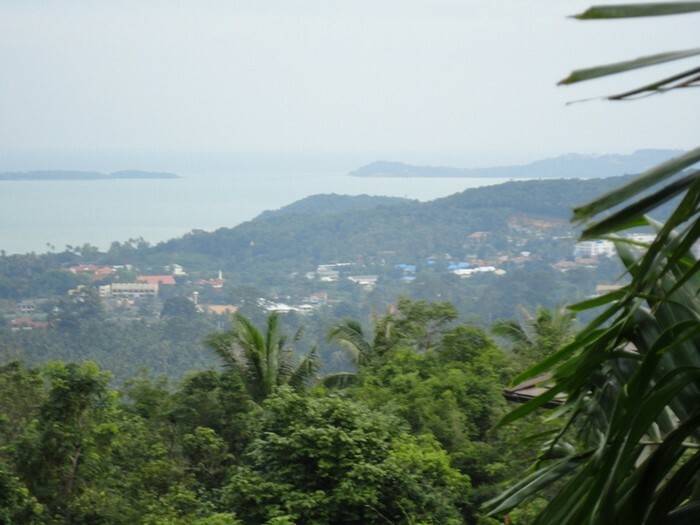 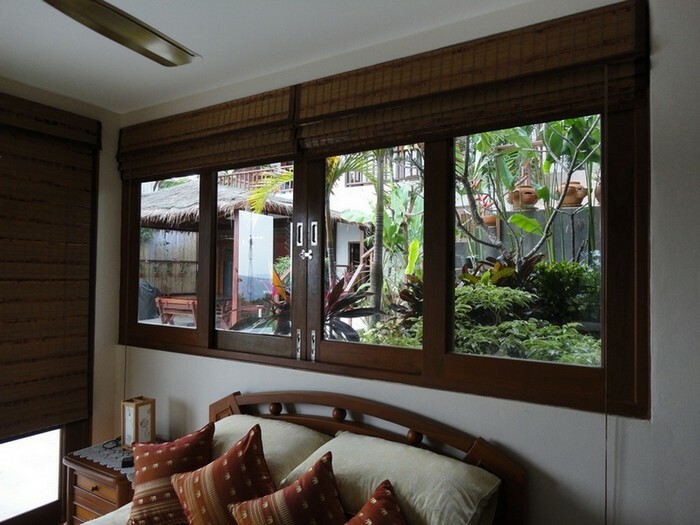 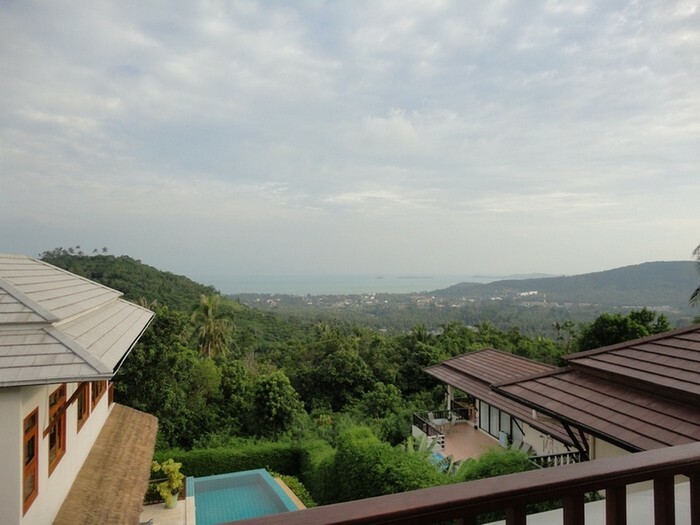 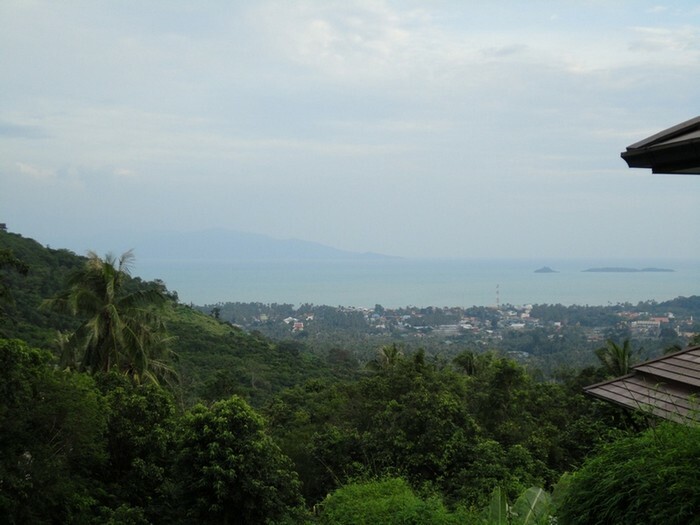 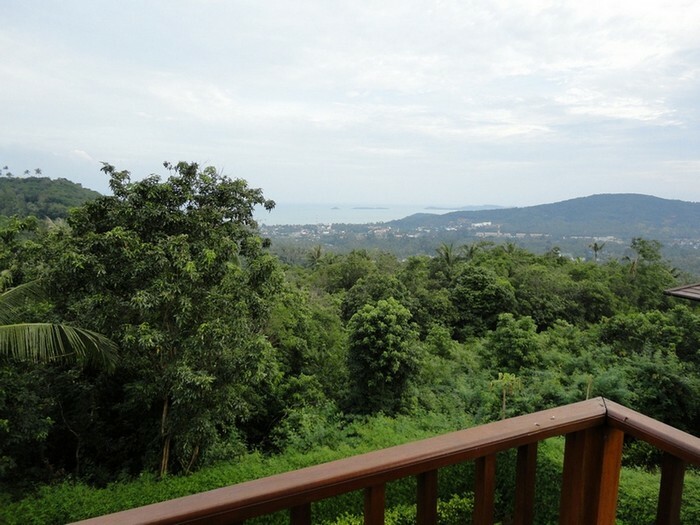 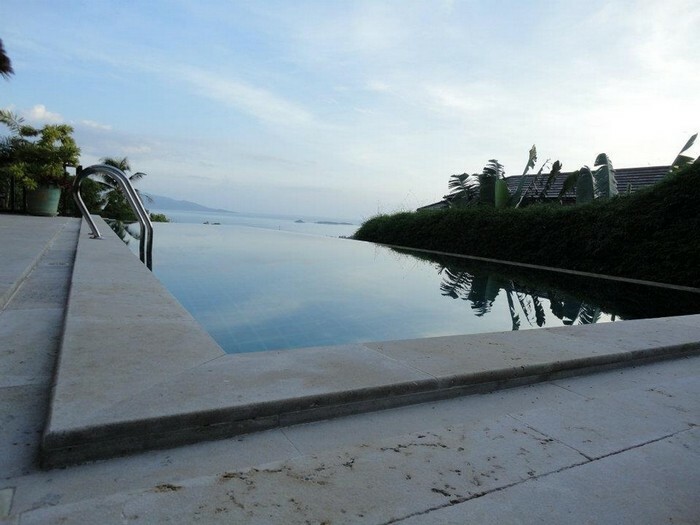 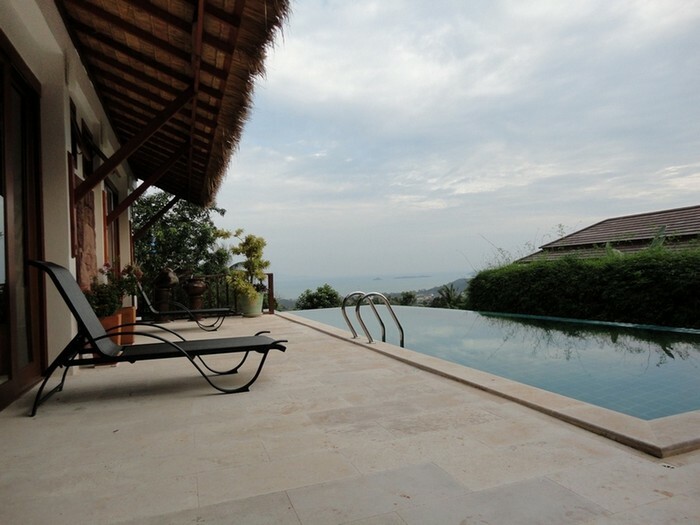 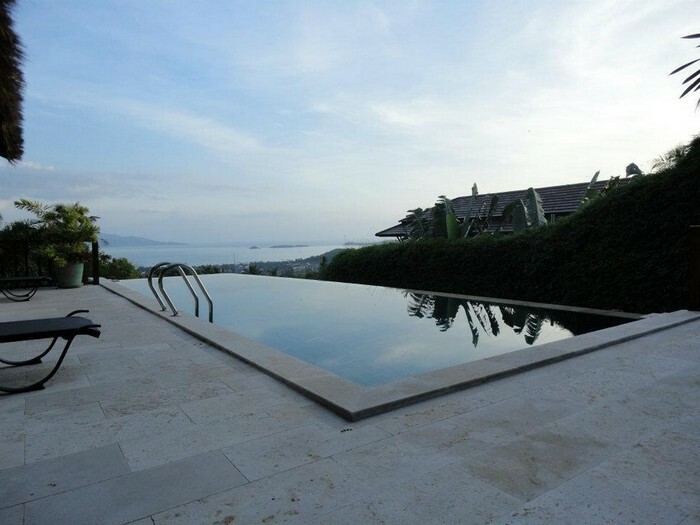 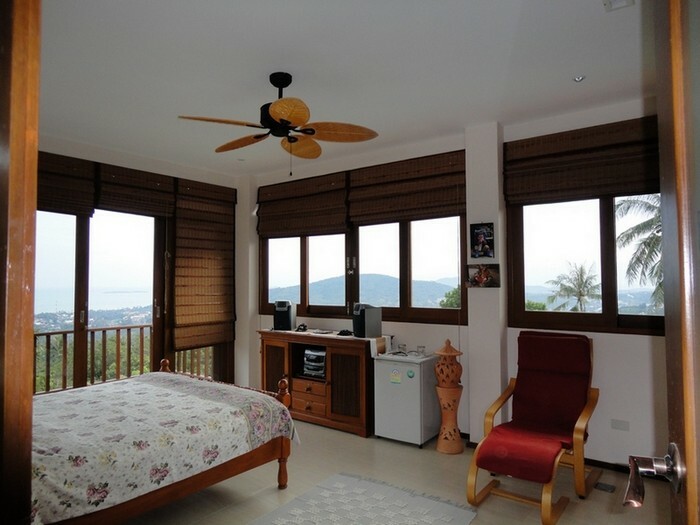 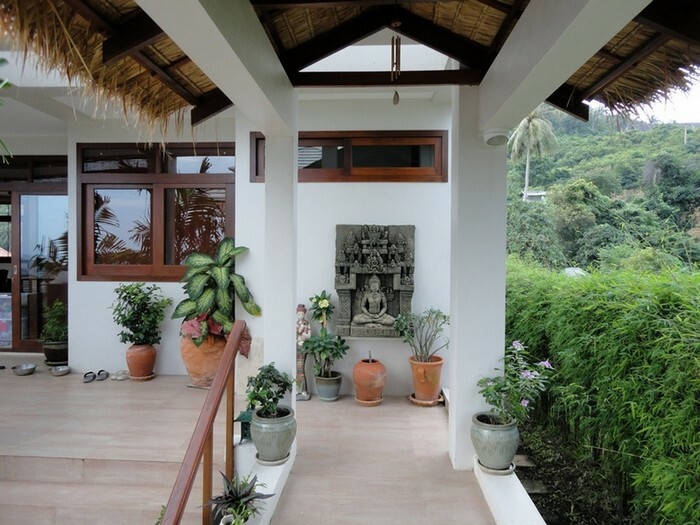 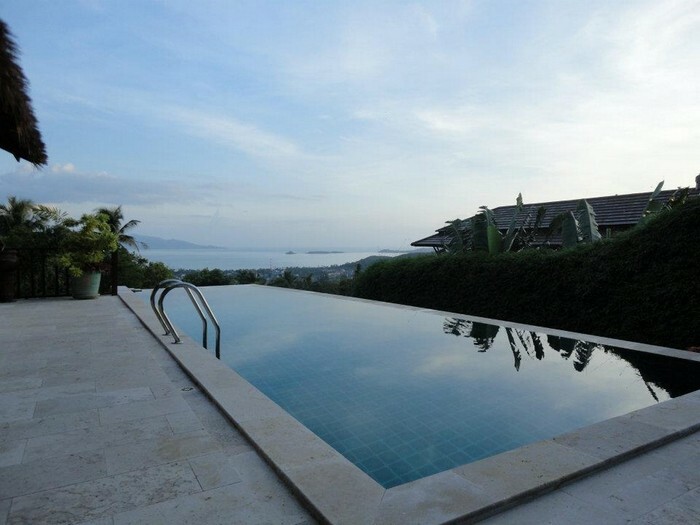 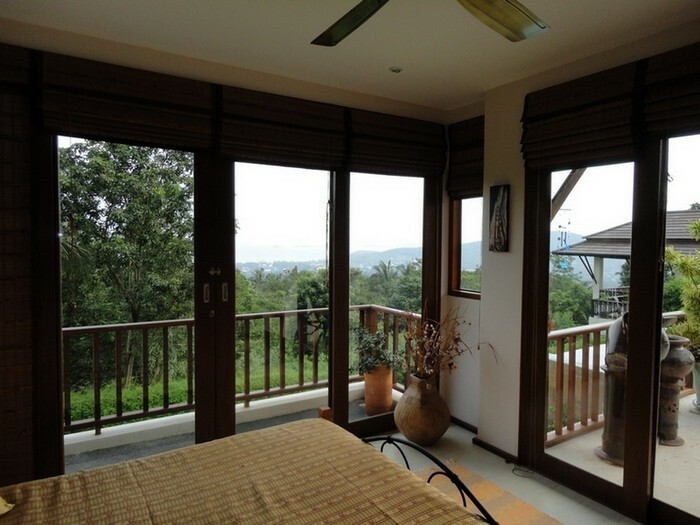 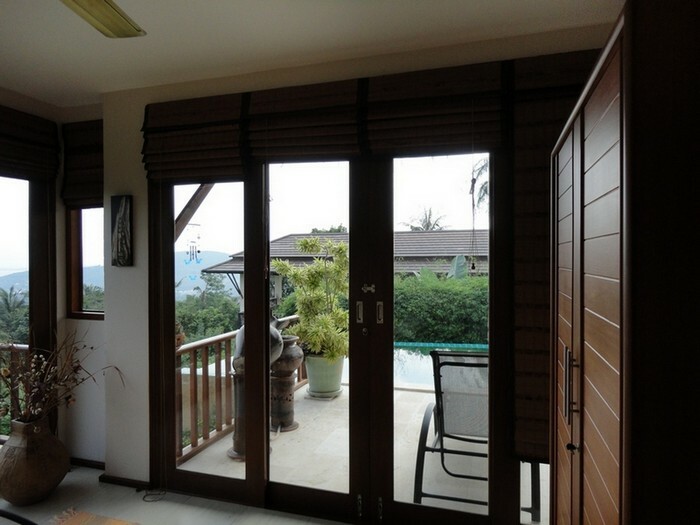 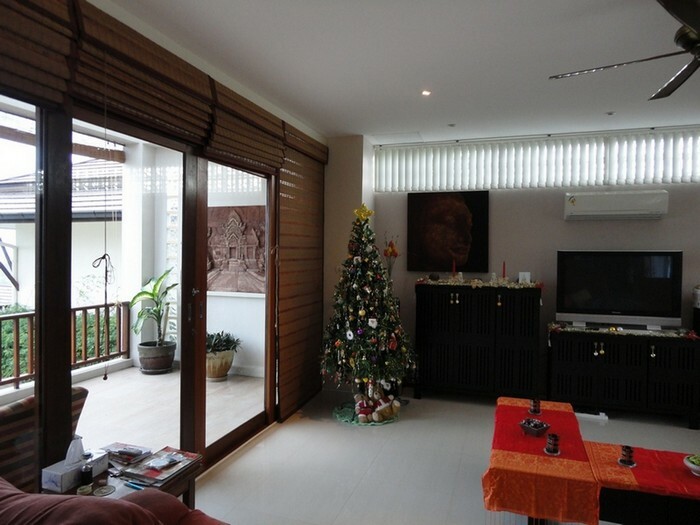 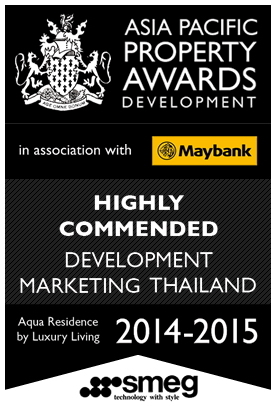 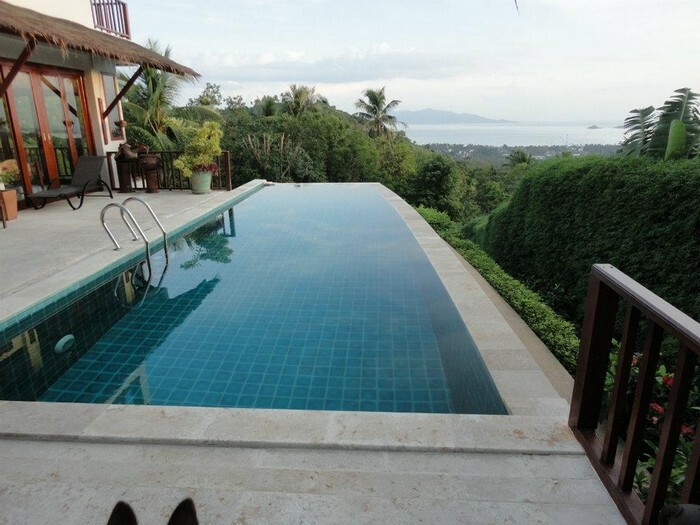 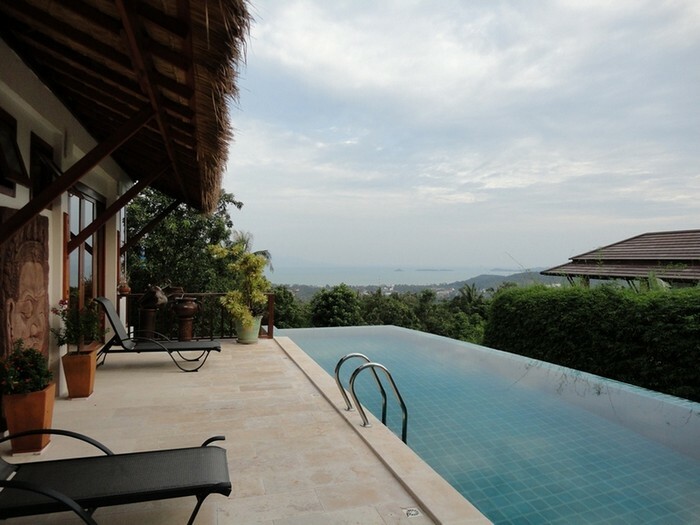 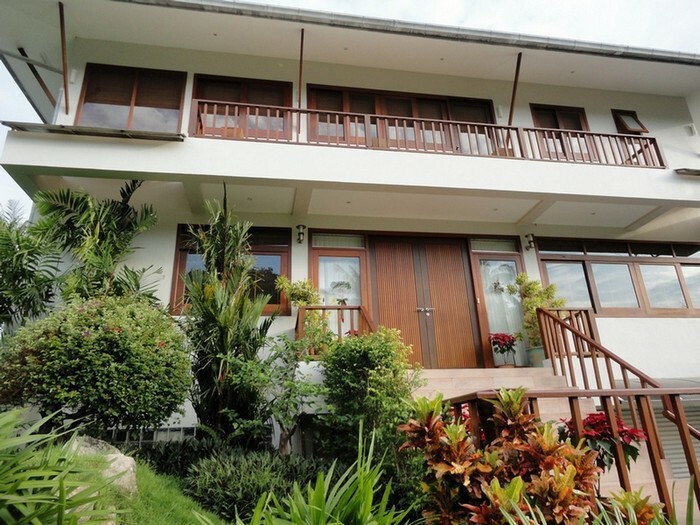 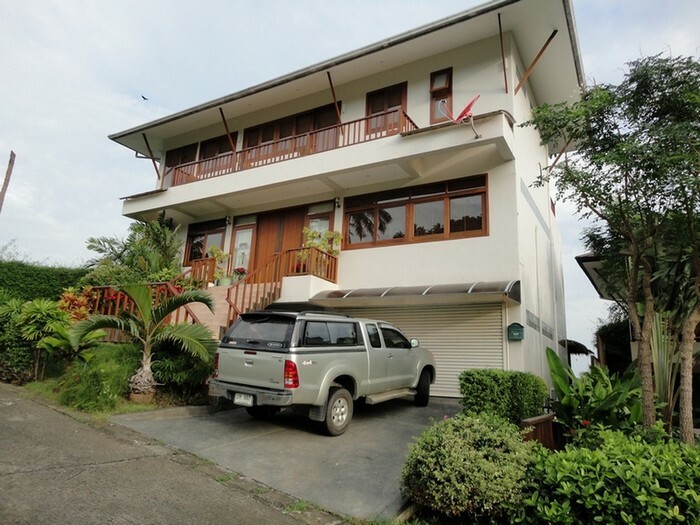 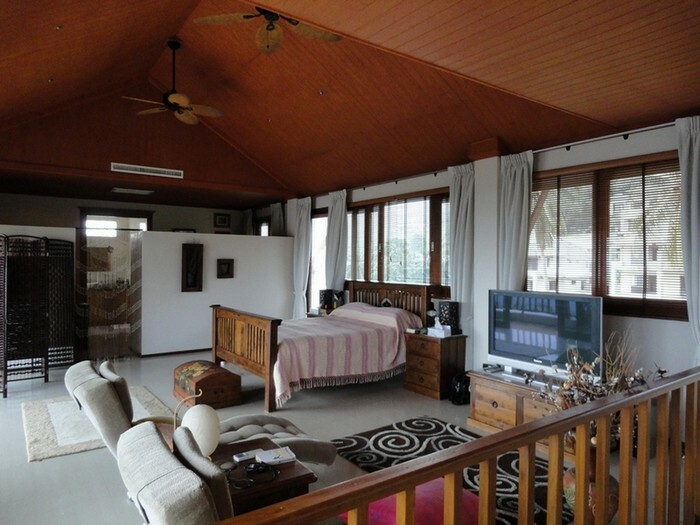 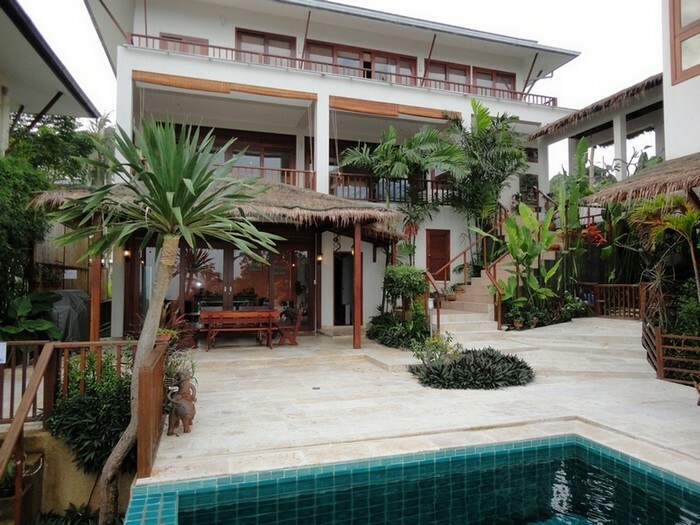 4 Bedroom villa with private pool and sea/island views located in the Bophut Hills on the popular NE coast of Koh Samui. 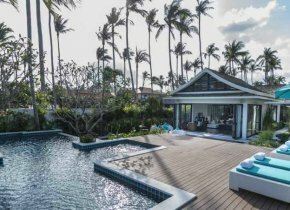 This splendid holiday villa comprises 2 separate 2-storey pavilions arranged around a private infinity salt-water swimming pool with air-conditioning throughout. 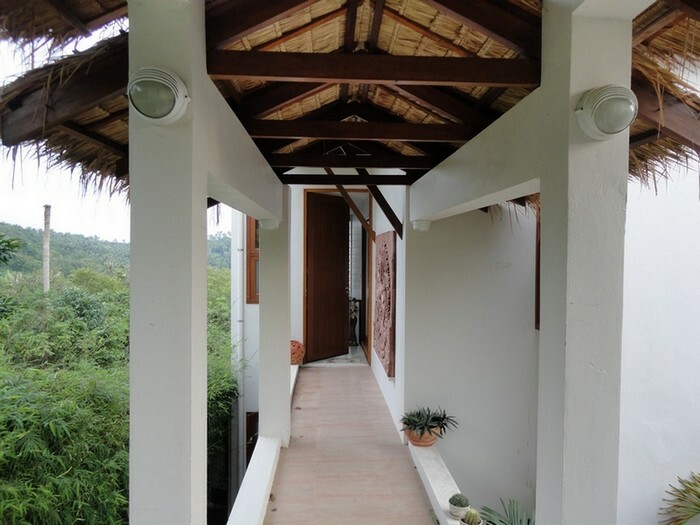 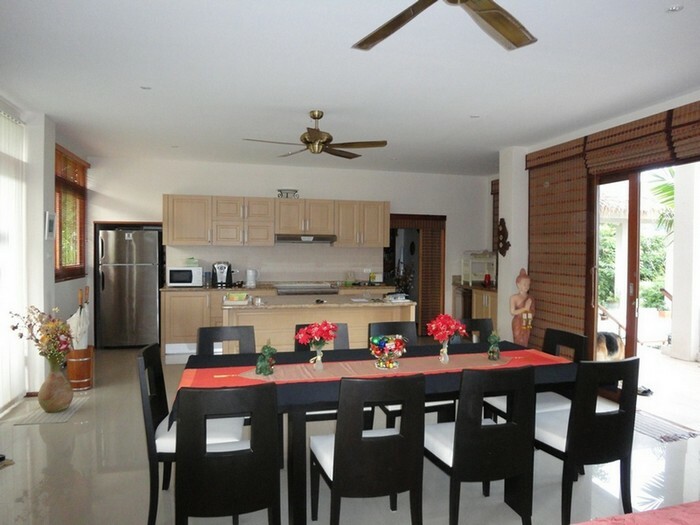 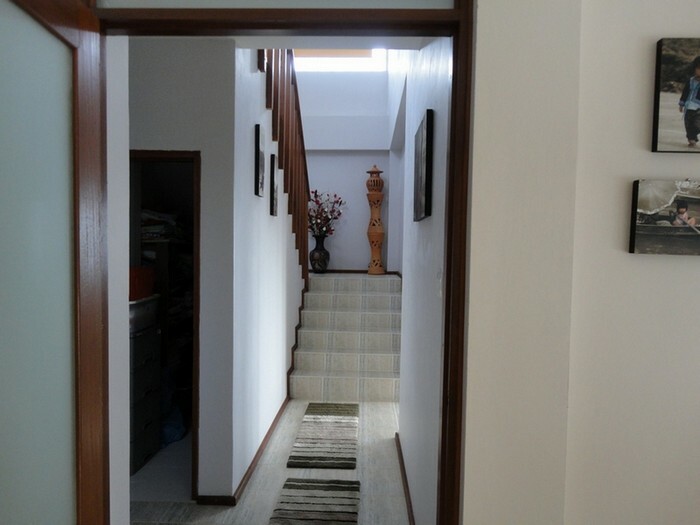 The main house offers a first floor open-plan living and dining area with fully equipped western kitchen. 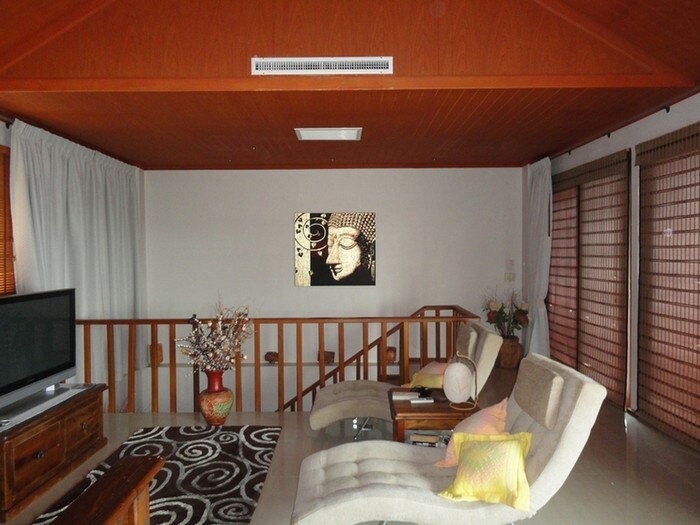 The lounge area offers a modern entertainment system with 42" plasma and full Home theatre sound system and plentiful soft seating options while the dining area offers dining for up to 10 diner guests. 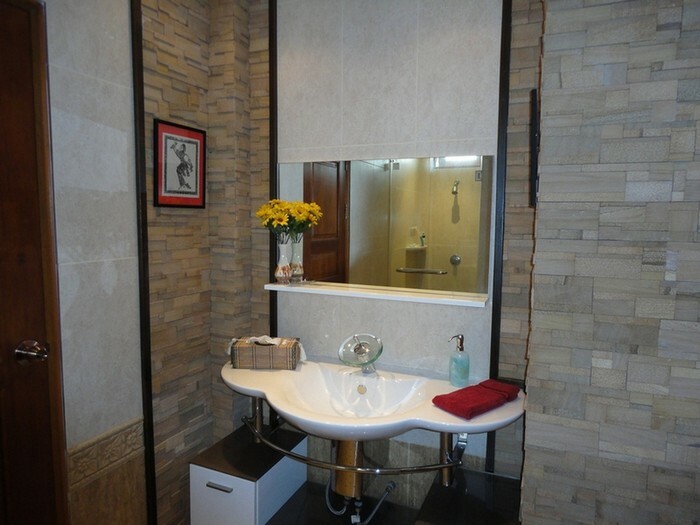 This area also offers a guest WC. 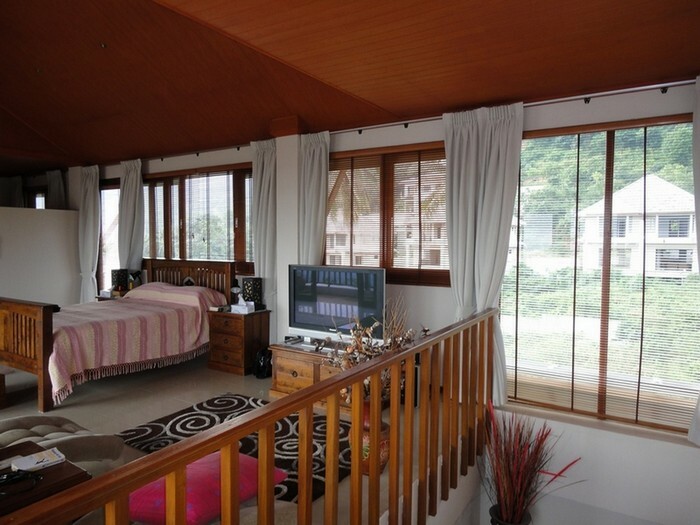 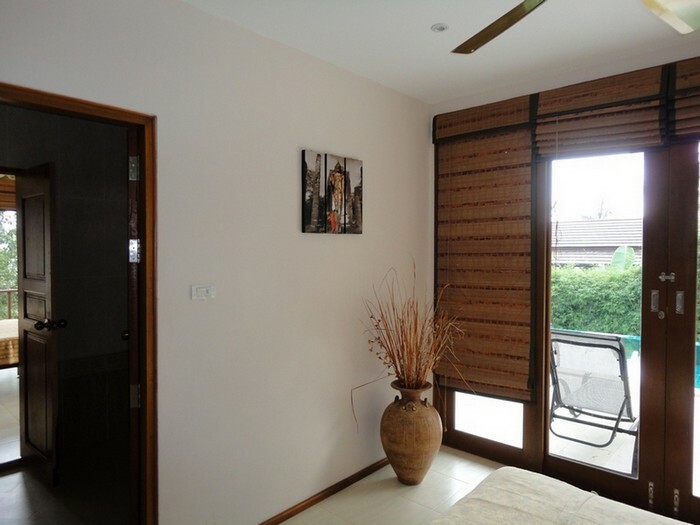 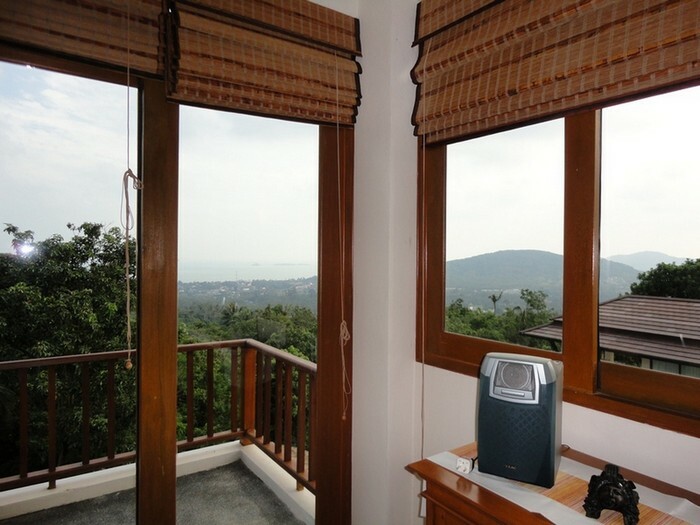 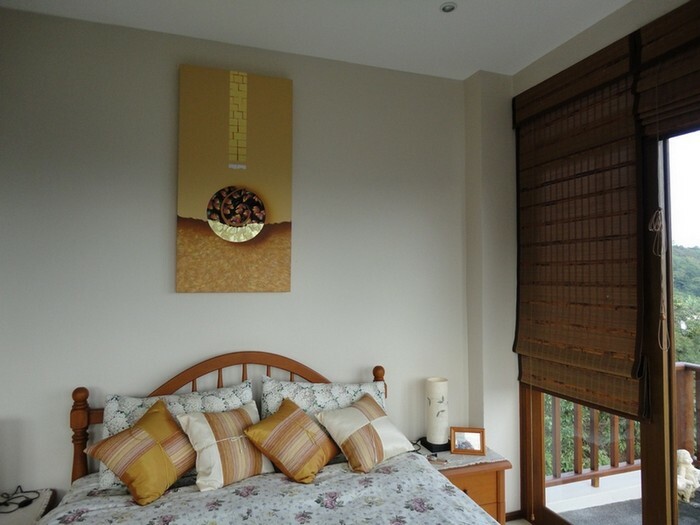 Upstairs is the main master bedroom with queen size bed, 42" plasma TV, sound system and a private ensuite bathroom. 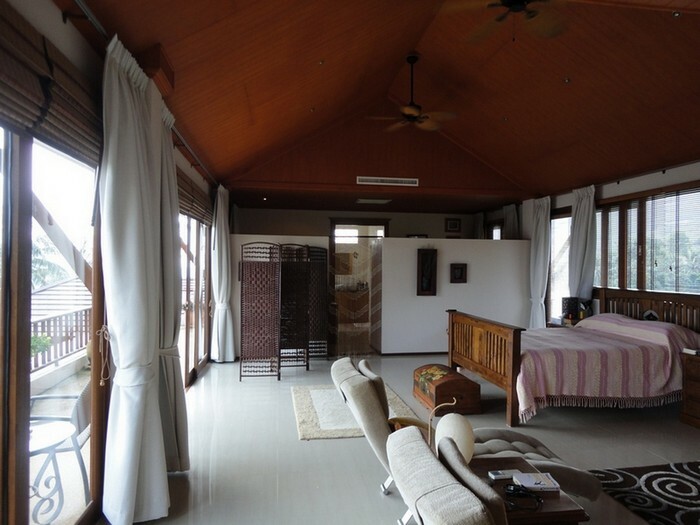 The second building offers 2 double bedrooms which open directly onto the pool area and share a bathroom with the villa's second master bedroom on the second floor boasting a private terrace with full ensuite bathroom facilities. 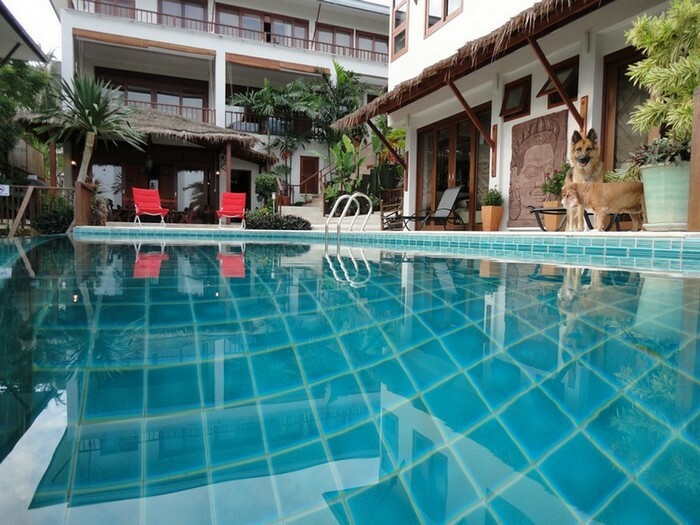 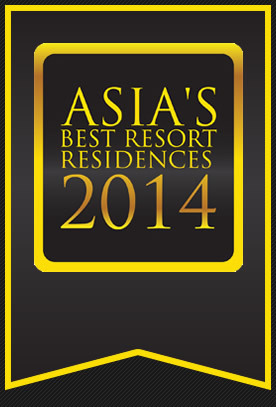 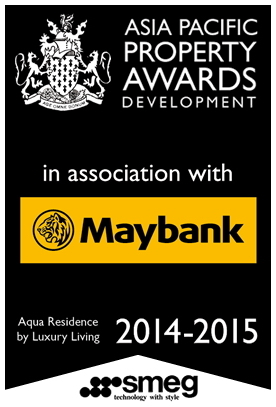 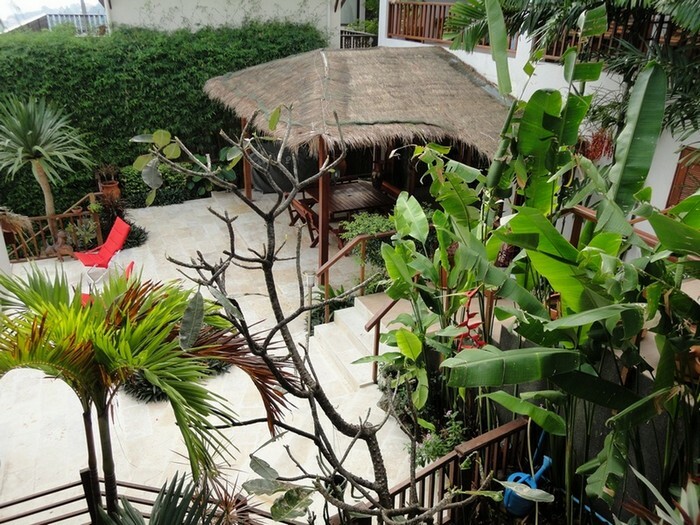 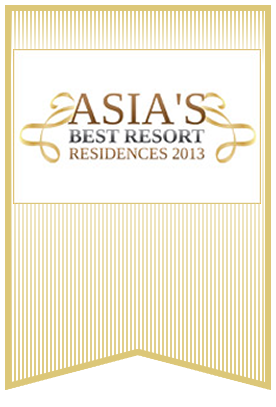 The pool area offers sunbeds, soft seating and shady pool-side pavilion with outside dining facilities.